will take place in the capital of Thailand, Bangkok, December 9 -18, 2016. The featured artists for this year’s event are Takayuki Takita (Japan), Yuko Kawamoto (Japan), Rosana Barra (Brazil/Spain), Tony Broer (Indonesia), Calé Miranda (Brazil) and Teerawat Mulvilai (Thailand). We also have a special collaborative work presented by Thai artist together with japanese artists. Also featuring a Butoh symposium with Takashi Morishita (Japan), curator of the Hijikata Tatsumi Archive. Butoh was born in Japan in the late 1950s by Hijikata Tatsumi and Ohno Kazuo. Since then this revolutionary art form that caused riots and chaos on its first presentation to public audiences, continues to evolve on a global scale after 57 years. 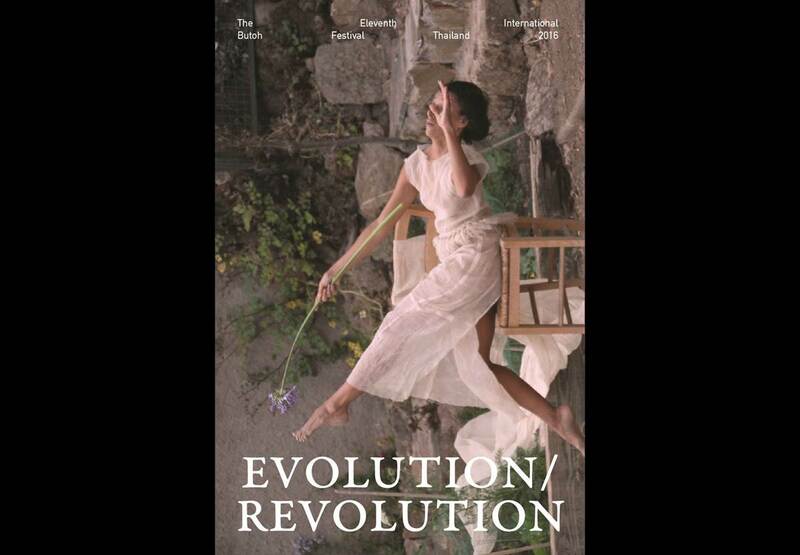 Revolution implies change, EVOLUTION/REVOLUTION seeks to follow the evolution of that change, the initial revolution to what is present day Butoh. + Calé Miranda (Brazil) Oju Obá- The Eyes of the Falling King, The Eyes of the Rising King. *** Program A & B, tickets 600 THB each or both Programs for 1000 THB. *** Student tickets 500 THB each or both Programs for 800 THB. December 10, 13:00-16:00 with Takayuki Takita (Japan). December 11, 13:00 – 16:00 with Yuko Kawamoto (Japan). December 13, 18:00-21:00 with Tony Broer (Indonesia). December 17, 13:00-16:00 with Rosana Barra (Brazil/Spain). December 18, 13:00-16:00 with Calé Miranda (Brazil), Afro-Butoh. *** Workshops 1000THB each or all workshops 4000 THB.